Doing your taxes can feel like going to the dentist — a necessary, sometimes painful evil — but the best online tax software makes paying your dues to Uncle Sam (almost) stress-free. 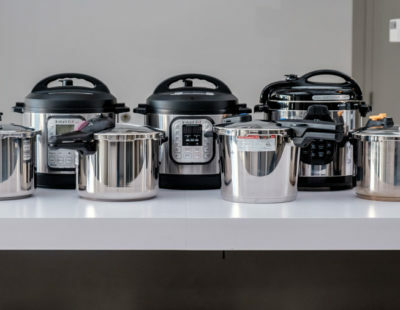 We looked at 21 of the most widely available providers, then narrowed it down to the four with the most intuitive interfaces and widest breadth of features. This was an easy decision for us. If the IRS lets you file a federal return on its website for free, then the best tax prep software should, too. The IRS announced that this year it will consolidate the three previous versions (1040, 1040A, and 1040EZ) into one easy form. About 150 million taxpayers can now use the same form. So we made sure free federal filing was for the simplest form was a staple of our favorite software. We wanted our recommendation to be robust enough to fit the needs of any taxpayer, even if they ran their own business, collected rental income, or worked as freelancers. In fact, TurboTax told us that every one in five files become self-employed each year, as the gig economy rises. We only included software that offers a business or self-employed option, ensuring that each of our finalists can accommodate all income types. Even Liberty Tax Service, previously cut here, has updated its service to accommodate these filers. If you live in one of the seven states without an income tax, any of our remaining options could be a good fit for you. However, to accommodate the most users, we dropped any software that doesn’t let you file state taxes for free. While this isn’t a requirement for many taxpayers, most states require their citizens to file state taxes on top of federal. In addition, this option makes tax prep easier and cheaper if you moved in the past year — after all, moving is expensive enough. Though many companies advertise free filing, that often only refers to the federal portion. The best online tax software should let you file all of your taxes without any hidden charges. Our goal was to find the tax prep software that makes filing as easy as possible. We tested our three finalists using tax information for a single male who makes $22,485 per year and has no dependents (and got the same $860 refund on each software product). In these tests, we evaluated ease of navigation, helpful hints and guides, and answers to commonly asked questions. We also compared the free versions and paid options to examine which offered the best premium features, including customer support by phone and live chat. We also dug deep into mobile apps and how easy it was to file with your phone. And in light of this year’s new tax laws, we paid special attention to how the software guided us through those major changes. 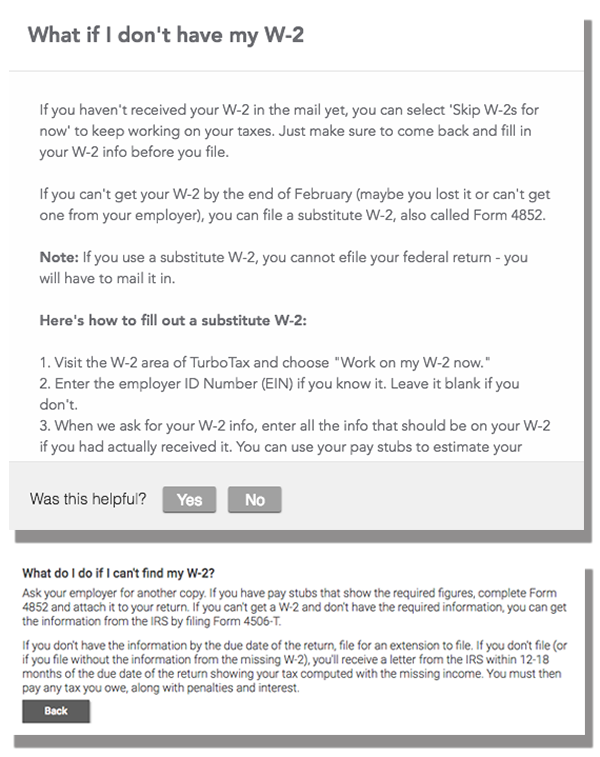 TurboTax (top) acknowledges that people may be filing before they get their W2 and provides instructions for filling out Form 4852 (while also explaining what it is). H&R Block (bottom) tells you what to do, but doesn't explain how to do it. Finally, we combed through help forums, asked questions on chat, and listened to our share of mediocre hold music before talking with customer support on the phone. Most of our top picks also offer support and tax review with specialists via live video chat — a new way to make online filing seamless. We gave props to companies that provided support for any question, whether simple or complex — everything from where to find our W-2 to what we need to report if we’re under the Affordable Care Act. Basic state and federal filing are free, with upgrades for deluxe filing at $60, and self-employment filing at $120. Intuitive guidance through every step of your tax filing. It’s extremely beginner-friendly by anticipating questions, offering helpful explanations, and automating processes. 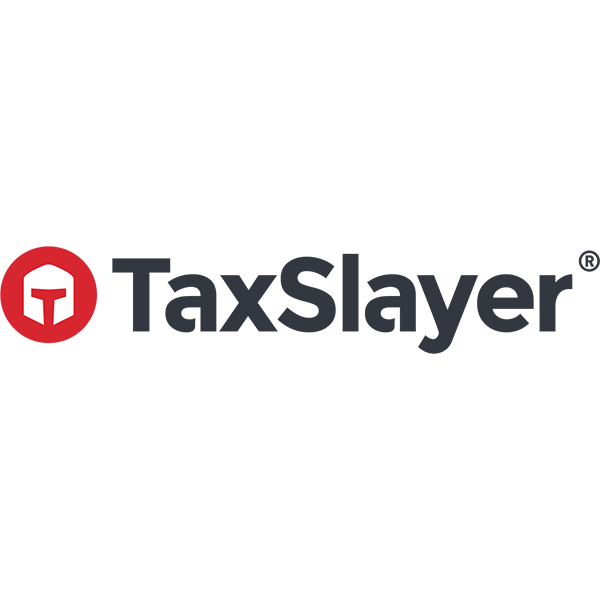 TaxSlayer's $57 Ultimate package gives you extra protection in the form of audit defense, giving you peace of mind at a lower price point than competitors. We also liked its low price for state filing when using its premium services ($29). Free options for standard state and federal fillings. Additional options include $40-$50 for unlimited chat with a tax pro for simple questions, or upgrade to the digital Tax Pro Review service for $60-$90 to get paired with a pro who will help complete and file your return. Impressive customer support, both in-person and digitally. The most affordable way to get expert assistance. The lowest prices and seven years of free storage. Even its premium options are more affordable than competitors', topping out at $35 for federal filing. It’s a little difficult to navigate, but worth it for a tight budget. Step-by-step instructions and a user-oriented design take the guesswork out of doing your taxes. TaxSlayer’s new Ultimate package comes with free audit defense for three years, identity protection and restoration charges. 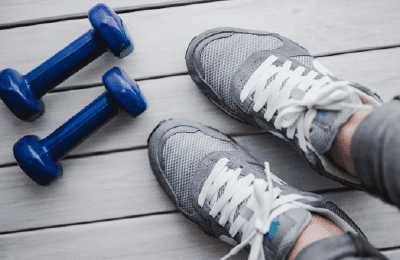 This is different from the more common audit support, which only offers assistance in gathering everything you’d need to prepare for an audit. Audit defense is a more involved process that includes representation in front of the IRS. TaxSlayer offers audit defense with its $57 package, whereas H&R Block’s $50 package only includes audit support. We found TaxSlayer’s interface to be clean, simple, and fairly flexible. It was easy to move through, fairly modern, and clearly labeled. We also liked that TaxSlayer let us skip around to different steps. H&R Block, on the other hand, wouldn’t let us proceed to a different step until we’d filled out the current form — even for options as mundane as a phone number. 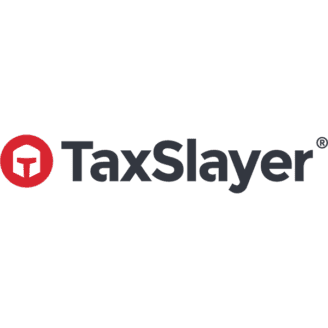 Anyone who considers themselves fairly savvy with terms and tax credits won’t have a problem navigating TaxSlayer’s software. However, TaxSlayer couldn’t quite stand up to its competitors like TurboTax — especially because some of TaxSlayer’s form pages were pretty text-heavy. 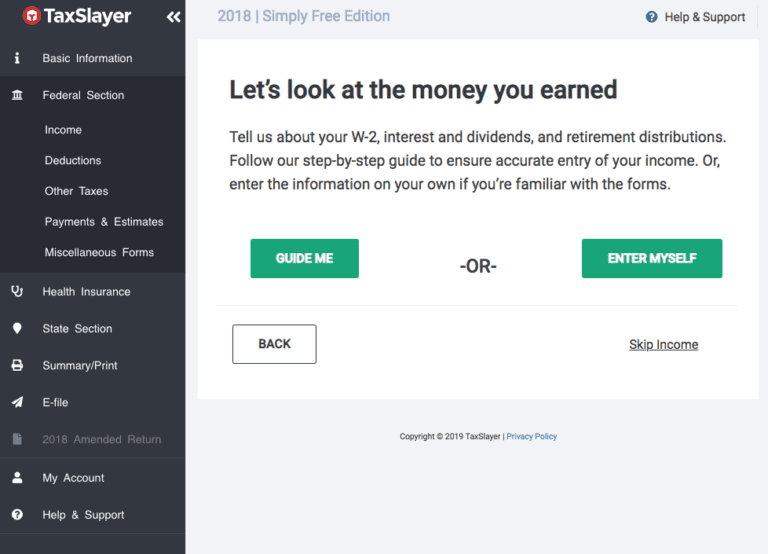 In places where TurboTax will break up and explain each section you have to fill out for a W-2 or state form, TaxSlayer will try to explain the whole form and collect the information on one page. The same philosophy applied to searching in the help menu. It’s the difference between a server at a restaurant noticing you need more napkins and bringing them to you (Turbo Tax), and a server who brings extra napkins only after you’ve asked (TaxSlayer). Both are good, but one’s more convenient. We had the option to enter information ourselves, be a bit guided through, or skip a section. TaxSlayer’s Simply Free version only works with 1040 filers with no dependents and only W-2 reported income. Most deductions and credits will require an upgrade to its Classic service. 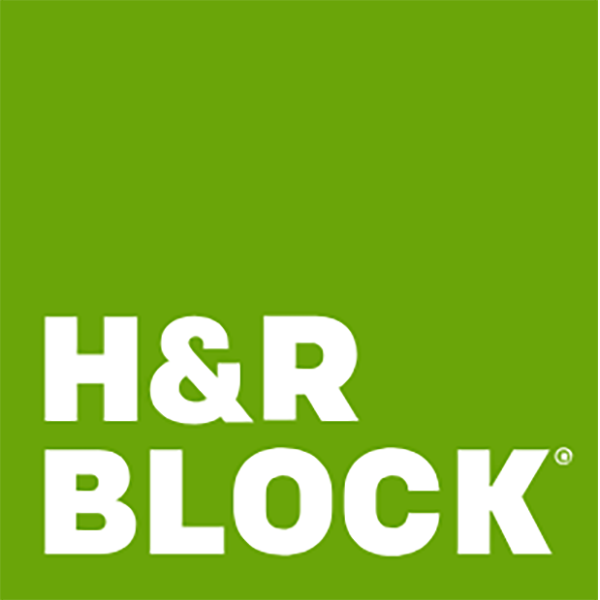 H&R Block’s free version is open to more tax situations and offers more perks, like snap-a-pic W-2 import and support for Schedules 1-6. However, it’s worth noting that TaxSlayer’s one-step-up Classic version costs just $17 and is competitive with comparable offerings from TaxAct ($19) and TurboTax ($40). And adding on a state filing is just $29 at any level with TaxSlayer, which makes it the most affordable state filing for higher-tiered premium services. While our other favorites like H&R Block expressly communicated the cost of their service, TaxSlayer consistently warned us about unforeseen adjustments. In our example, below, you can see a pretty stark difference between the two messages. H&R Block is assuring us we’ll know when we need to pay more to file, while TaxSlayer is saying they don’t need to offer notice to tack on different prices. 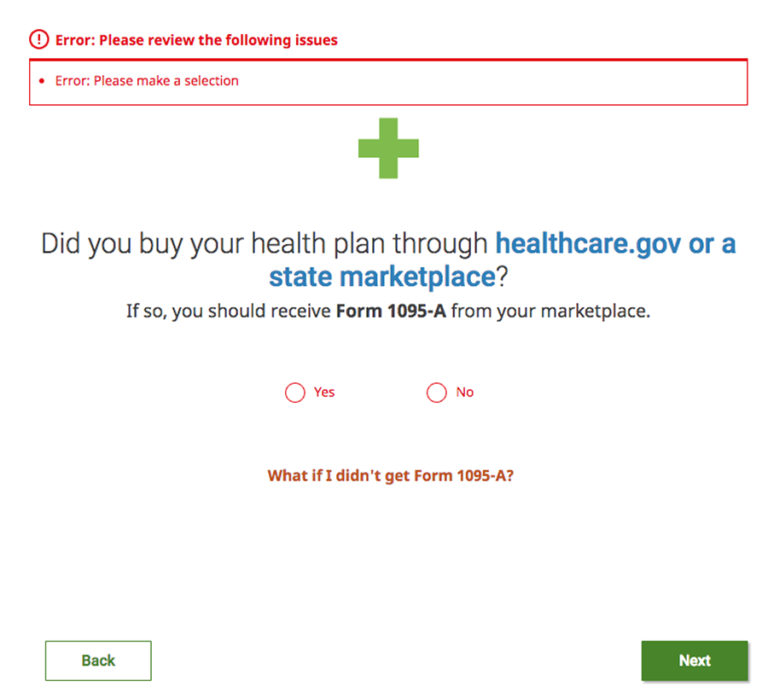 In one phase of our testing, it appeared to show us that state filing would cost us an additional $29 even though we had selected the free version. We were never charged the extra $29, but the messaging made for a confusing and stressful process. TaxSlayer's messaging was unclear and honestly a little ominous. 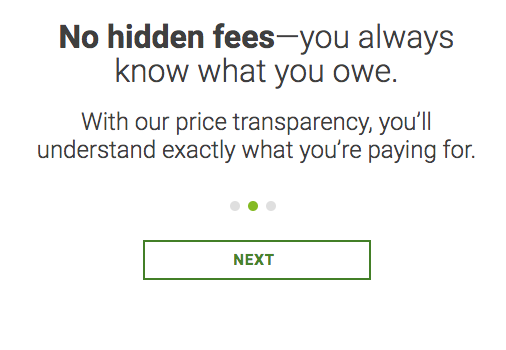 H&R Block's price discussions were clearer and more reassuring. If in-person support sets your mind at ease, then an agent at one of H&R Block’s 12,000 locations should do the trick. H&R Block was an easy pick for personalized customer support. When we submitted a request for instant chat, H&R Block was immediately on the line. And even though it took a few minutes to talk to someone on the phone, it was still such a short wait that we didn’t ding the company. Plus, our customer service representative was kind and patient as they walked us through pricing — without pushing paid options. H&R Block offers a 1:1 digital expert service called Tax Pro Review. Essentially, clients begin their tax return online and can then choose to be paired with a tax professional who will help them complete, review, and file the return. The best part? It can be purchased as a separate service for $60 to $90 (depending on the complexity of the return) rather than as part of a $150+ package like the similar TurboTax Live. 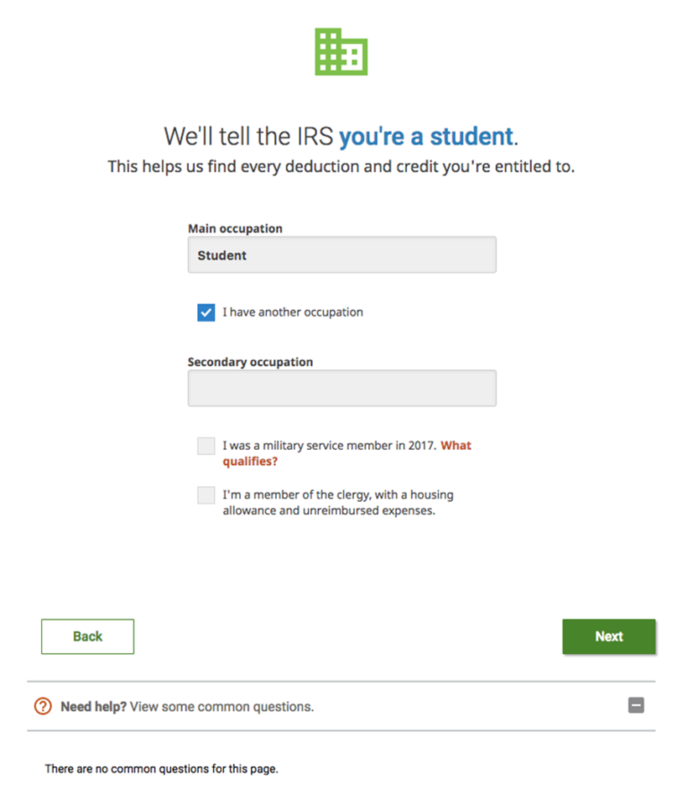 Better yet, the Tax Pro service gives you the option to choose a tax expert in your local H&R office for a face-to-face chat. And if you just need simpler support, you can opt for H&R Block’s new service, Ask a Pro for $40-$50 for unlimited chat and screen-sharing with a tax expert. They won’t deep dive into your filing specifics or optimize your return like the Tax Pro Review feature, but can still answer most all tax-related questions and guide you through the process. 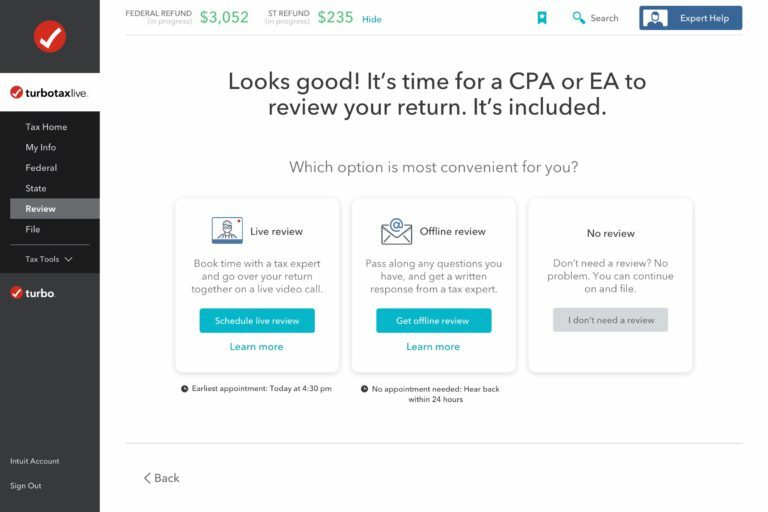 In addition to Tax Pro Review, H&R Block is rolling out a service called Tax Pro Go, which starts at $60 and matches consumers with a digital tax professional. Clients simply have to upload their documents, and the professional will take care of the rest. This is more hands-off than the other support options, which mostly offer professional advice while you still complete the filing. Better still, the return will be sent to clients within five days for approval. 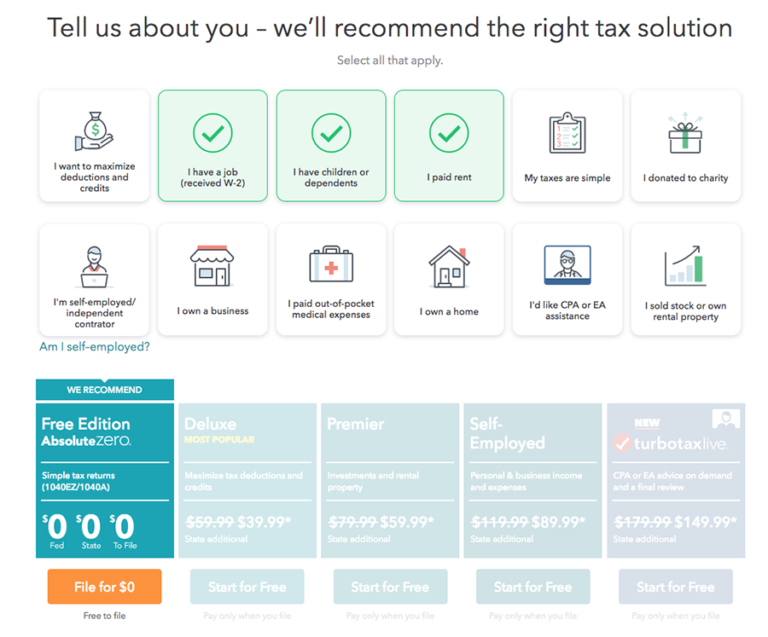 The offer sounds tempting — a lot of tax software, including TurboTax, starts around $60, while still requiring you to do most of the heavy lifting. H&R Block’s software uses a simple design with straightforward progression, with logical checklists that show you how far you’ve come and how much is still ahead. The checklist might be a little too restrictive for some, though. You can’t skip around to different sections or even preview them to see what’s in store. If you try, you’ll be greeted by harsh red text that lets you know you haven’t finished the step you’re on yet. Not so fast, tax filer. At times, H&R Block’s software also fails to predict common questions. For example, our tester wasn’t sure what to do when filling out their employment information — they had three jobs in the past year, which was one more than the allotted space on H&R’s online form. Under the “Need Help?” banner, H&R Block’s system drew a blank. Even though TurboTax only offered space for a single job, it still predicted the confusion and provided an explanation, reassuring our tester that the software wouldn’t forget extra income. H&R Block's "Need Help?" banner left us craving more. 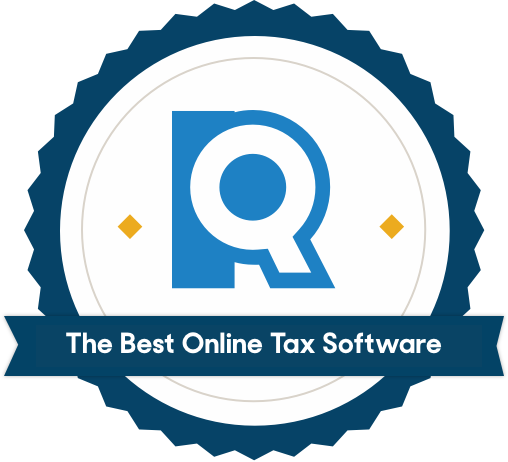 By far the cheapest tax software, but lacking guidance and a clean design. If you want to get in and out of your return as inexpensively as possible, TaxAct is the way to go. Even its Premium option is cheaper than that of competitors, maxing out at $35 (with an additional $37 per state filing). 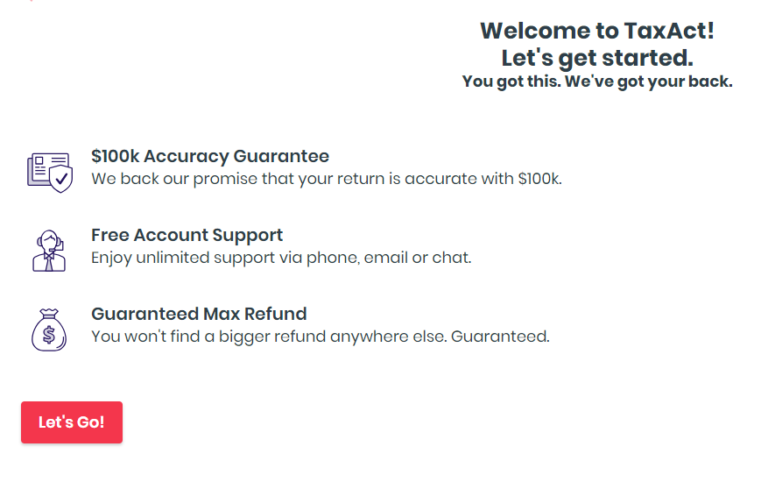 It also has a PriceLock guarantee, a not-so-subtle dig at competitors like TurboTax, which notoriously charges for add-on features after you’ve started your return. Additionally, we loved how TaxAct users can access their tax returns for seven years — even when using the free version of the software. TurboTax charges a whopping $50 per return for this feature, while H&R Block only lets you go back three years. Though TaxAct has updated its interface since last year, it still isn’t nearly as interactive or enjoyable to use as our other top picks. We initially liked the no-frills nature of its simple, text-heavy screens, but it made the process feel monotonous after a while. At times, the amount of text makes the process more difficult to navigate — when compared with the large, scannable tools of TurboTax, it can be hard to find the information you’re looking for. The software didn’t take as many opportunities to inform or guide us. There were also a few times in our testing that a calculation was made without us being informed. It got us to the same bottom line, but in the meantime, we were confused about what had suddenly changed our totals. The software’s limited e-filing of state taxes might also be a deal breaker for some users. The software is missing key forms that make it ineligible for e-filing in some states: It doesn’t have 1041, 1065, 1120, and 1120S for every state. To be fair, forms 1120 and 1120S are for corporations, and most corporations won’t use simple consumer tax software to file. Regardless, if you have a small business, you probably don’t want to file with TaxAct. A common way for identity thieves to make cash is by filing fake tax returns based on stolen information before you have the chance to submit the return yourself. In 2013, the IRS prevented about $24.2 billion in attempted fraud but ended up paying an estimated $5.8 billion in fraudulent tax refunds. Online tax software companies insist that it’s not the products that are insecure, it’s that identity thieves are getting better. To avoid any surprises, file as early as you can — before identity thieves do it for you. You can take steps to add security on your end, too. Keep clear of phishy emails; shred old tax documents; don’t file your tax info over unsecured wireless networks. The IRS puts out a list of the “Dirty Dozen” tax scams every year, and it’s worth taking a look early in tax season. If you really want to up your peace of mind, check out our review of the best identity theft protection services. For every financial website you’re using, we strongly recommend you choose a unique password. While that can get hard to keep track of, you don’t want to cut corners when it comes to filing your taxes online. If an identity thief somehow obtains your Facebook password, you don’t want that to open the door to your tax returns as well. Unfortunately, the IRS has seen a rise in phone scams in recent years where the callers impersonate IRS agents and try to get victims to pay exorbitant tax bills through wire transfers or prepaid debit cards. Some scams have even gotten so sophisticated that caller IDs show legitimate IRS numbers. Don’t fall for it. The IRS will always send a bill in the mail first, and it will never threaten to bring in police for an unpaid bill. If you think you might have an outstanding debt to the IRS, just call directly at 800-829-1040. How have tax software companies responded to increased security threats? All of our top picks beefed up their security in 2019. In addition to asking for your password, they now require you to answer personal questions that are harder for a stranger to get right, like, “What is the name of your third-grade teacher?” TurboTax goes a step further by sending a six-digit verification number to your phone or email whenever you login. What is the Free File Alliance? The Free File Alliance is a nonprofit collection of 12 tax software companies that agreed to partner with the Internal Revenue Service (IRS) and provide free filing for low- and moderate-income taxpayers. The Free File versions give you access to more forms than you’ll find in a software company’s standard free option. To be eligible for Free File preparation, the government mandates that your adjusted gross income be $64,000 or less. However, companies are allowed to make the same cutoff even lower for their individual versions of Free File software — the cutoff for TurboTax’s is $33,000. 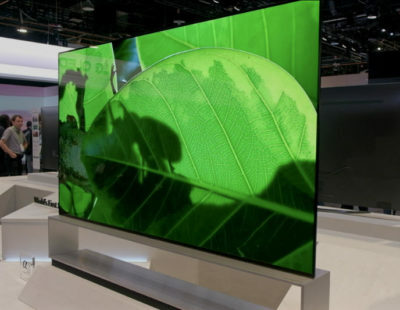 In fact, as long as they don’t exceed the government’s cutoff, each participating software company can set its own eligibility requirements, which can be found on an IRS-sponsored list. Free File Alliance software isn’t available until January, but could be worth a look for many; at the last estimate, 70% of all taxpayers would qualify. When the software is available, you’ll see a “Start Now” button on the IRS Free File site to review the list of participating companies, and you must start the process on the IRS site in order to ensure you don’t pay fees. For those who may need more free forms than a 1040, it’s definitely worth a look. How has the new tax bill affected 2019 filing? At the beginning of November 2017, a bill called the Tax Cuts and Jobs Act was passed. There are some significant changes that will impact your 2018 taxes that you’re filing in 2019. To start, whether you’re single or married, it’s likely that you’ll be paying a lower federal tax rate next year. The bill nearly doubles the standard deduction as well (increasing to $12,000 for individuals, $18,000 for heads of household, and $24,000 for married couples filing jointly). To make up for these cuts, personal exemptions (currently $4,050 per dependent) will be completely eliminated, and you’ll be unable to fully deduct state and local taxes, so some households in high-tax states could end up paying more. There are many more changes we broke down in our Guide to 2019 Tax Changes. We recommend using a tax calculator to estimate next year’s changes.